Special Olympics Nebraska is proud to host our State Flag Football tournament at Abbott Sports Complex in Lincoln, NE on October 17th and 18th. Games begin at 9am both days, with Flag Football skills beginning at 10:30am on Saturday. Please note that there will be no skills events on Sunday. The tournament schedule is available for download below. Please note, this schedule is for Saturday, October 17th ONLY. 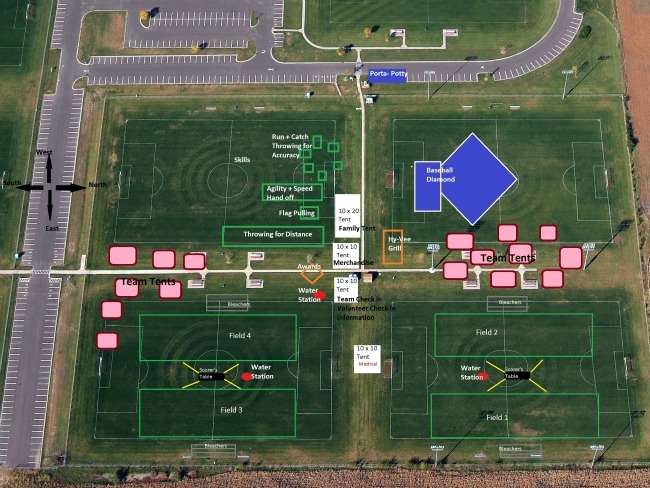 In addition, competition venue maps are available below. 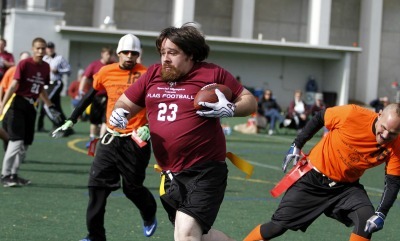 Download the Flag Football Festival Schedule here! Click to Download Full Size Map!